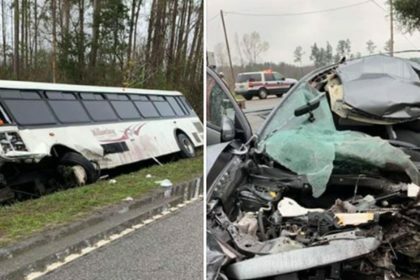 South Carolina Highway Patrol is still probing Saturday after a Williamsburg County transport bus crashed with a car near a Georgetown County elementary school. Georgetown County Fire and EMS Assistant Chief Tony Hucks states 22 passengers have been transported to area hospitals following the accident. One person was airlifted to MUSC for treatment. 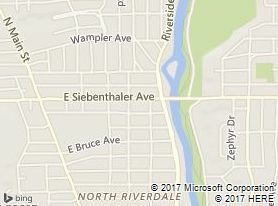 Hucks states there were no deaths as a result of the accident however the driver of the car was transported to the hospital with fatal injuries. At least 5 passengers rejected medical attention. According to Hucks, the incident occurred at 7:30 a.m. on Browns Ferry Road close to Browns Ferry Elementary School. Passengers have been transported to medical facilities in Georgetown County, Conway, and Waccamaw. 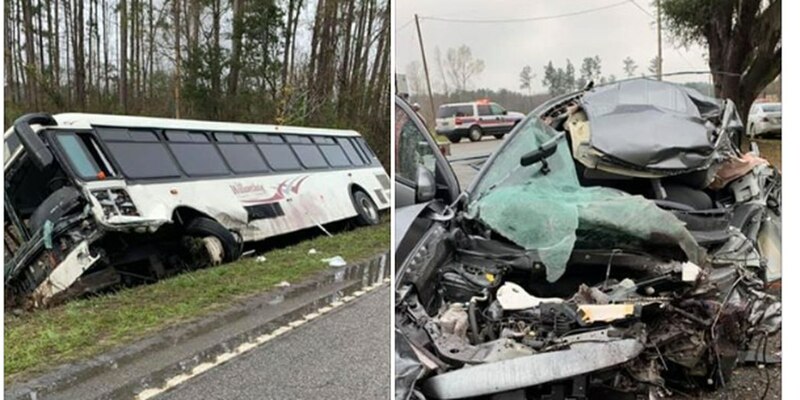 Sonny Collins with South Carolina Highway Patrol states 38 passengers were on the bus at the time of the wreck.